There are many factors that go into choosing the best camping knife. 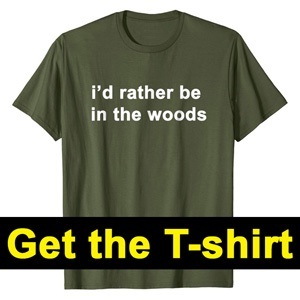 It's an important decision that can really enhance your camping experience. 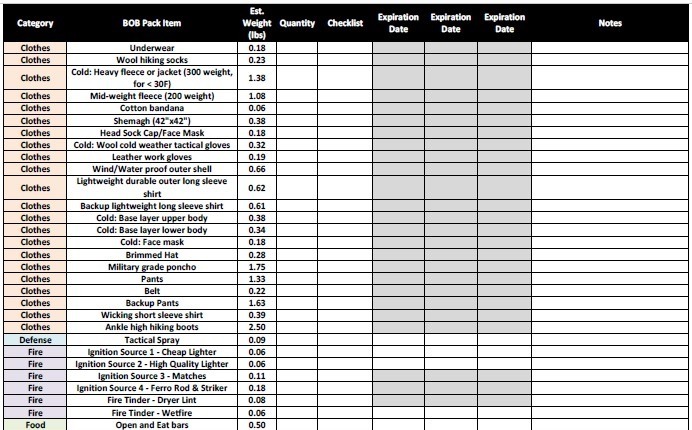 When camping, you're going to be doing a wide variety of tasks with your knife. 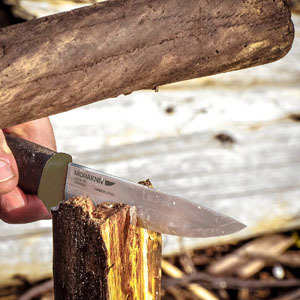 From processing wood for the fire to scaling a fish you caught, you need a knife that is versatile. 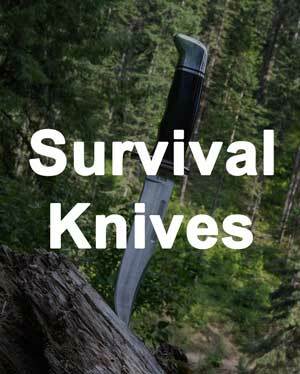 In this article, we are going to review the different criteria you need to look for in a great knife for camping. Then we are going to look at one of the best camping knives available that exceeds all of our requirements. We tested out several, and this one blew us away with its capabilities. There are so many options out there to pick from. Many people pick their knife on some factors other than practicality because they may not have much experience doing camping chores. For example, size, status, and show sometimes enter the equation. Those factors don't help you get the work done at camp. The top knife for the job is not always the biggest or the most expensive. We only get into the practical factors here that will make your camping experience a big success. We want a high quality steel to give us a long knife life. There is a trade off between getting stainless steel which is more immune to rusting versus higher carbon which can be stronger for some tasks. If you want to know more about the different versions of the Companion, check out this review. Blade length is a factor as well. The really big combat knives out there might be great for some of the bigger tasks, but they won't help us with finer tasks. The blade thickness becomes critical if we want to use our knife for higher stress jobs, but can be a hindrance for finer detail work. The handle should be made out of good materials that can withstand the elements. We also want a handle that has a good comfortable grip and that is slip resistant. When we are out in the wilderness for a long time and have to do many tasks, having a good handle becomes critical. When we buy a knife, we want to buy it for a lifetime, so we go for quality and design. Short of losing the knife, it needs to last a long time and hold up to anything we can put it through. At a campsite, there are many different tasks that we will need a knife for including cutting small limbs, batoning fire wood, carving, making tinder, and clearing brush. We also have many cooking tasks, including food preparation and possibly skinning. 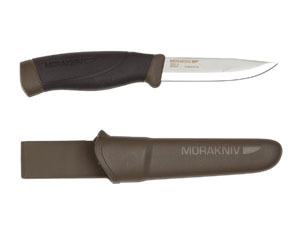 The Morakniv Companion Heavy Duty goes far above and beyond in meeting our criteria for a superb camping knife. It has an awesome blade, a fantastic handle, and it is built to last a life time. The design and build are the best out there. 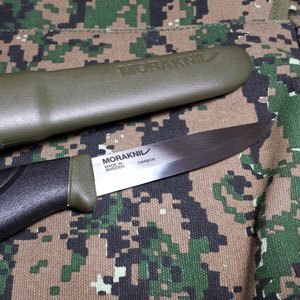 For those that don't know, Mora is a famous knife ﻿﻿﻿﻿company when it comes to survival tools. The Companion Heavy Duty has a 1095 high carbon steel blade that is 4.1 inches long. The overall length of the knife is 8.8 inches. The blade thickness is 0.125 inches, which makes it extremely strong and durable. It weighs only 4.8 ounces, so is very light weight, but also well balanced. The handle is incredible with a high friction grip that is also comfortable on the hand. 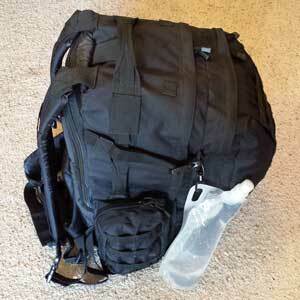 It comes with a plastic sheath that has a belt clip on board. This knife excels at the full set of camping activities that we need to use it for. It is strong enough to baton wood, and agile enough to carve and create fine tinder with it. It is also a great food processor and can handle meat or fish. 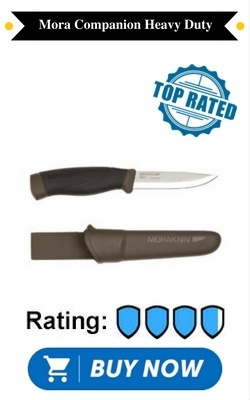 What is unbelievable is that the price is incredibly cheap because of the fantastic manufacturing process that Mora uses. For these reasons and more, it is the winner by a long shot. The entire set of features of this knife at the incredible price is unmatched in the market. 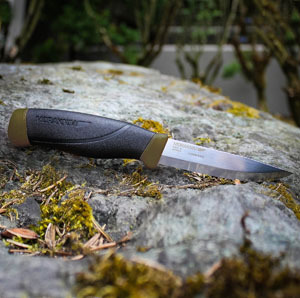 Mora knives are known for their superior performance and rock solid durability. The Companion Heavy Duty is well designed and manufactured to high standards. It holds its edge well and is easy to sharpen. It comes in green or orange trim and sheath colors so that you can get the one that best fits your needs. There is a limited lifetime warranty for the knife. Because of the higher carbon to get more strength, the Companion Heavy Duty is not stainless steel. This means you need proper care of the knife by keeping it dry and oiled to prevent rust. Over time, it is normal for this type of steel to become a dull grey. If this is a problem for you and if you know that you won't be batoning wood at camp, then consider the slightly less strong cousin of this knife that is stainless steel and is perfect for the rest of the activities. In summary, we discussed why having a good ﻿knife is important to take on your camping trip. 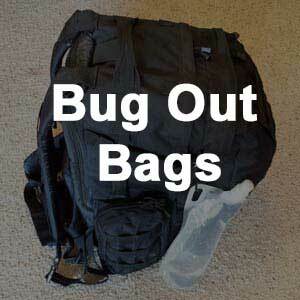 Since camping is usually planned, you should also take other tools that fit your bigger needs. 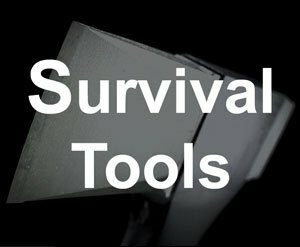 If you plan on doing a lot of cutting, consider an actual saw and hatchet to cut the job time down. When it comes to the type of tasks that a knife excels at, the Companion Heavy Duty is hands down the winner for being the best. The Companion Heavy Duty is the perfect length and thickness to get in and handle the tougher work, but also agile enough to handle the detailed jobs too. The quality, durability, and price all combine to give you a fantastic option. 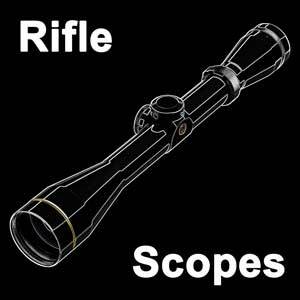 I highly recommend that you get yours today.